Donate today to help defeat Epilepsy! The mission of the Epilepsy Foundation of Missouri and Kansas (EFMK) is to lead the fight to overcome the challenges of living with epilepsy and to accelerate therapies to stop seizures, find cures, and save lives. EFMK offers a variety of programs and services to help those with seizure disorders live life to the fullest. All of our services are designed to help learn how to cope with the challenges sometimes associated with having a seizure disorder. 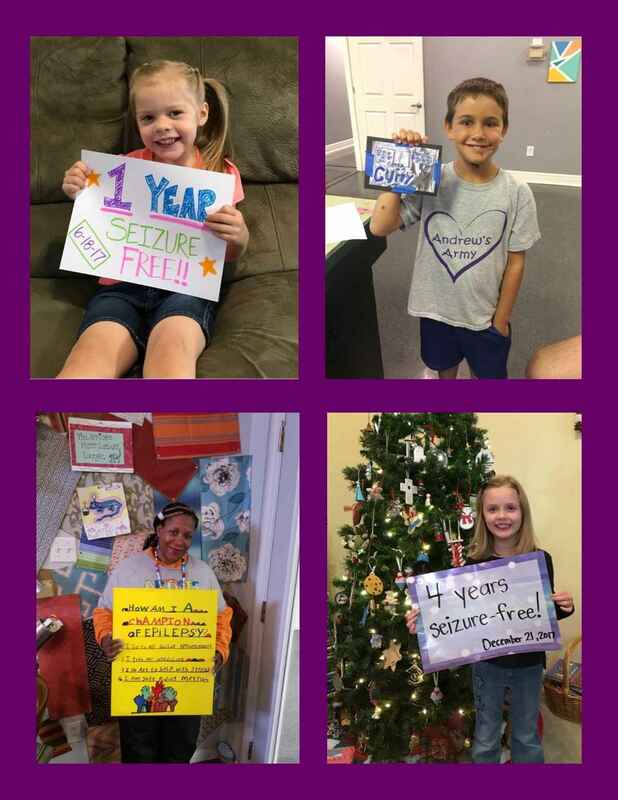 Your generosity and support are incredibly important for the Foundation to continue assisting people with seizures and educating students, school personnel, police, veterans, seniors and the community about epilepsy. With every dollar raised, the Epilepsy Foundation comes closer to stopping seizures, finding a cure and overcoming the challenges created by epilepsy. Epilepsy affects nearly 3 million Americans of all ages. It is estimated that 250,000 people in Missouri and Kansas are living with epilepsy. We are deeply grateful for your support of EFMK as we work to provide programs, services, resources and education in our community and advocate for improved rights and regulations involving people living with epilepsy. The Epilepsy Foundation is a 501 (c) 3 agency serving people with epilepsy in Missouri and Kansas. Your donation is tax deductible as you received no goods or services in exchange for your contribution. Thank you, Darla, for your wonderful service to EFMK! To help with research on the causes and cures for Epilepsy. Congratulations on your retirement! Thank you for your years of hard work and dedication to the Epilepsy Foundation. Mosmi loved working with you. Team Rizz is making a donation in memory of Sherry Nobel. These are donations from my twitch viewers from the month of November for Epilepsy Awareness Month.